Welcome to our Windows 7 Problems' Questions and Answers/Comments page. Have your Windows 7 got error, stuck, hang or shutdown/reboot unexpected? Or Did you get any Installation/Setup, Activation, Update, Upgrade errors? Do you have Windows 7 64bit, Video Card Drivers, Network, Wireless, Printers, Scanners problems to resolve? 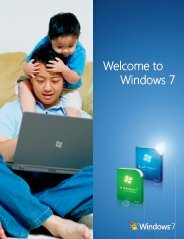 Here, you get the chance to ask any Windows 7 problems question you like about and hopefully get them fixed/answered by other visitors just like you. Submit Your Windows 7 Problem/Error Description Here. Ideas: Insert an error code or give a short description of what you are trying to accomplish or fix.